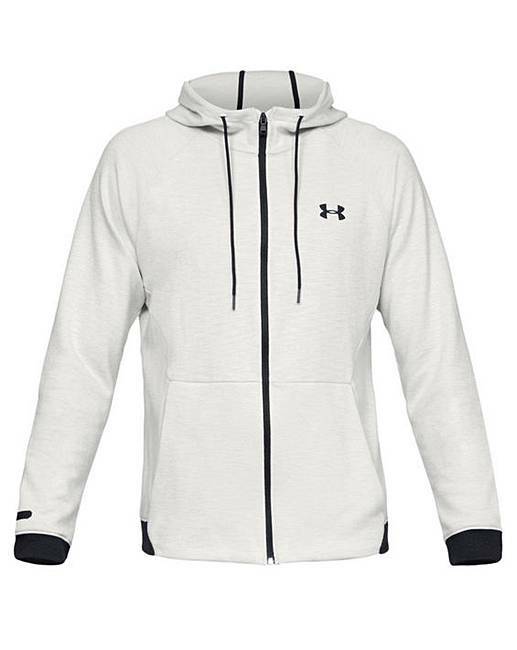 This Under Armour unstoppable full zip hoodie is fitted next-to-skin without the squeeze. 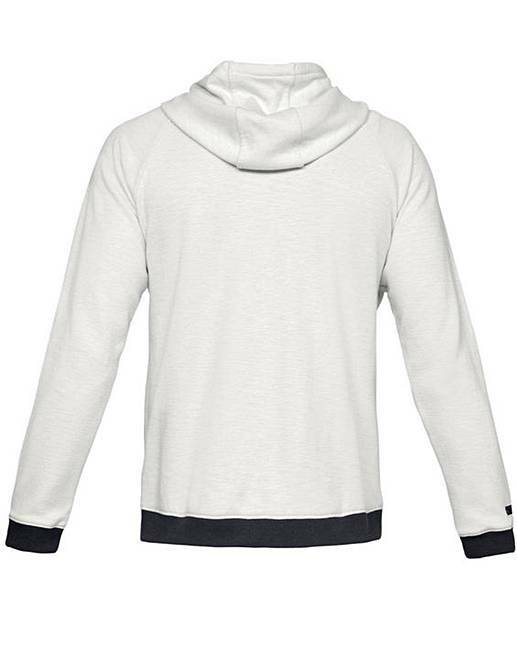 It is a lightweight knit fleece material and is breathable and stretches for superior mobility and the soft, brushed interior gives you just the right warmth and the material wicks sweat and dries really fast. 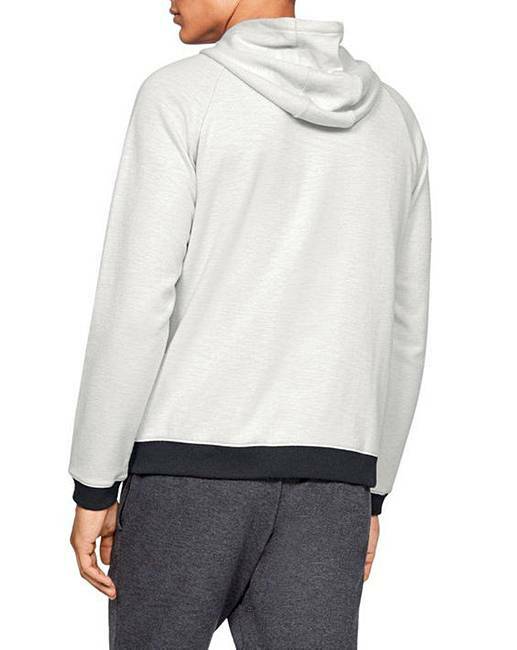 Also features a clean, no-stitch detail for lightweight comfort, open hand pockets, ribbed cuffs and hem, raglan sleeves and all-over heathered effect.